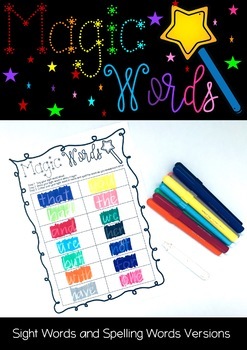 Put a magical spin on practising sight words and spelling words with this Magic Words Practise Sheet. Students simply write their sight words or spelling words in white crayon and then colour over the word using texta to reveal the word hidden underneath. This download features sight words and spelling words versions.